This workshop will focus on how universities can improve their pipeline from research ideas to mature SMEs. 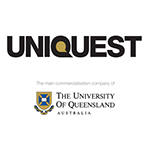 Uniquest CEO, Dean Moss will discuss Australia’s support in start-ups, types of funding available to kick-start research ideas, as well as licensing deals and contract negotiation to enable universities to become active shareholders in successful commercialisation. Check out the incredible speaker line-up to see who will be joining Dean.